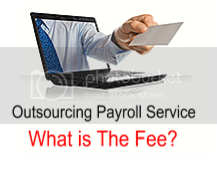 How To Calculate Payroll Transaction Fees per Employee of Outsourcing? Is payroll function in your company carried out by an outsourcing payroll service provider? Do you know which payroll service provider provide better offer? Do you know how to compare the fees offered? Let’s talk about this. Many big companies have found it well worth the effort of outsourcing their payroll processing functions to specialized service providers, thereby eliminating the hassle associated with payroll tax calculations and submissions. However, few companies go to the trouble of determining the annual cost of this processing on a per-person basis. They may be startled to find that the initial cost at which they agreed to the service has ballooned over time, because of extra fees tacked onto the base processing rate for such services as direct deposit, sealing checks in envelopes, calculating special deductions, and tracking garnishments. For these companies, the payroll transaction fee per employee measurement is a valuable tool. For example: a new payroll manager has been hired at the Royal Bali Cemerlang, which has a large staff of garment manufacturing. Accordingly, the payroll function is the key accounting activity. The new manager is interested in obtaining the best cost-benefit performance from the payroll function, which is currently outsourced. He/she compares the cost of the current outsourcing provider and the fees charged by a competitor in the following table where all information is based on the processing of a single biweekly payroll. This analysis shows that the competitor’s bid is $1,156 higher than that of the existing service provider, primarily because the competitor charges higher per-employee fees (despite having lower fixed service costs). In this case, the variable payroll cost per employee is $5,148/120 =$42.90 if the current supplier is used Vs. $7,618/120=$63.48 if the competitor is used. As per noted, those charges that have nothing to do with the per-person fees associated with the payroll must be segregated. In the example, these fees would be the minimum processing fee, delivery charge, and the two reports. By separating these costs, it is easier to determine the pricing strategies of payroll suppliers, some of whom advertise low fixed fees to attract new customers, but who have so many extra per-employee fees that the total cost is higher.